Lauren Samuels – 3rd in BBC’s “Over the Rainbow”, leading roles in “Grease”, “We Will Rock You”, “Bend it like Beckham” in the West End. Lauren was coached by me for 11 years. Graeme Hawley. Appeared in Coronation Street, Emmerdale, Love and Marriage. Award winning stage actor. Priscilla expertly helped build my impact when speaking as well as my understanding of what I needed to achieve by clever assessment, honest feedback and clear instruction, obviously drawing from years of experience - problems were nailed really quickly. Priscilla has a lovely manner, all the time making you aware of the fascinating science of the human voice and even though I only had a few lessons I now see speech and how others will listen in a completely different way. I heartily recommend her assistance - even if you are just thinking of voice coaching give her a ring, you will not regret it. Enjoy that new found confidence! Priscilla is brilliant, highly professional, very experienced and a lovely person to work with! I had an hour a month of one-on-one lessons, over an 8-month period. I elected to have the face-to-face lessons rather than Skype option as I found it much more personal and beneficial. As I am not a native English speaker, my intention, partly, was to soften my accent and also to take my English to a higher level. I have definitely achieved this through these sessions. This is the ‘little extra’, which cannot be found in language books and is hardly mentioned in language classes. I have learned about and focused on emphasis, pitch, tone and neutral vowels, which I never paid much attention to even in my mother tongue. The other reason I wanted these lessons was to help with presenting information as part of my work involves talking to groups and I have struggled in the past with passing on information clearly and confidently. Priscilla has helped me immensely with this and I am really noticing the difference in my work. I highly recommend these sessions to anyone, regardless of whatever professional path they may be on. This is a transferable skill, which can be a great benefit for any personal or professional situation throughout your life. Priscilla was a great teacher, full of energy and commitment to help you achieve your objectives. I'd definitely recommend anyone who has to do public speaking or talk to teams in any company to take the programme. As a busy C-level executive clear, verbal communication is a vital everyday tool. Voice training with Priscilla Morris has made a huge difference to my confidence when speaking to individuals and groups. The techniques she has taught me ripple through every conversation, meeting and presentation and have helped me to become a more professional and well-rounded speaker at work and in my social life. People want to listen and respond more positively than before! I was recommended Priscilla as a voice coach as I am transitioning from male to female and your voice is a significant factor in being identified as female. Priscilla has worked with transgender clients before and I was very impressed with her range of clients. When we met the first time Priscilla was lovely and so understanding and accepting of me that I was immediately at ease. I had no idea what to expect and Priscilla explained the way she would work with me to modify my voice and how she could help me. I would warmly recommend Priscilla's services as a voice coach. Priscilla was adept at pin-pointing where coaching was needed and worked well, with me, on a one to one basis. The experience overall boosted my confidence and ability to prepare for presentations. I am certain I will be calling on her support in the future. I am writing to thank you for the helpful sessions that we have had over the past few months, and for your incisive and professional approach to pronunciation coaching. After the first session with Priscilla, I decided to continue as she covered a lot of issues and I realised that she could help me to improve my skills in speaking English. I knew these would be useful to me in my personal and work life. Thank you for your support and hope to have more lessons in the future. I'd like to thank Priscilla for her wisdom, guidance, and expertise when it comes to public speaking. She has a wealth of knowledge on speaking in any public arena and is really approachable. Her passion for helping people to communicate confidently shines through. I'm very happy to recommend her! We engaged Priscilla to undertake a vocal impact in business workshop with us as a HR team. Priscilla's energy knows no bounds. She held our interest and kept things fresh for a whole day - no mean feat! We learned a lot and practically applied these learnings too. Priscilla is skilled at managing extroverts and drawing out the introverts, ensuring we all participated and safely came out of our comfort zones. If you are seeking support in presentation skills? The art of influence? Or generally getting yourself heard? We highly recommend you approach Priscilla. Just done a speaking presentation at the Duke of Edinburgh Gold awards at St James Palace. Had some amazing feedback. I had a room with about 150 people in (the long picture gallery) and no microphone. Also the first time my mum has heard me speak. Some of the young people actually said the speech was amazing as they came to collect their awards off me. Just wanted to let you know some people complimented my delivery skills, pauses, tone and in a room of that size projection was key. So a big thanks again for your coaching which is serving me very well! I really want to thank you a lot for your great effort for voice coaching to me so that now I can speak more clear and louder. Also I am getting more better on my pronouncing as well. This is because of what you taught me. I will always keep practicing which you learned me so that I can be more better on my speaking and pronouncing. I am really feeling a big difference in myself than what I was before. And I am really very happy to have that. After starting a new job with the Fundraising team at LOROS Hospice, I found that I was struggling with my presentation skills when meeting with community groups to showcase the work that we do. I wasn’t a confident speaker and felt intimidated by the subject matter that I needed to discuss. Life at LOROS is hugely positive and I often meet with patients and families who are dealing with such difficult situations with incredible grace and resilience, and sharing their stories is a daunting task. I met with Priscilla for four sessions to work on my confidence and vocal technique. The amount that we covered in this time is incredible. I still have a lot to develop, but I now have the tools to do so. My confidence has improved greatly and I’ve had lots of positive experiences whilst presenting since starting these sessions. I now view presenting as a project to improve upon and enjoy rather than something to fear. Thank you so much for all of your help. It really has been invaluable in building my confidence and helping me to enjoy my work. I had a very good time with Priscilla, not only did I learn new things but my confidence was surely boosted. I laughed at some habits I had which was making my pronunciation of words sound wrong. I am still reminding myself on how to say some words. The sessions have amazingly changed me and my self esteem. I have found the help very professional and well organised. The change in Esther’s speech is there for all to hear. As an investment in Esther it helps her immensely with Clients and Caregivers. The impression Esther gives now in contact with all, is clear and concise. As Esther progresses in to more senior management roles as our business grows, I know that this is invaluable training. For people to reach their full potential, they must first and foremost be able to communicate clearly with Client’s and staff. 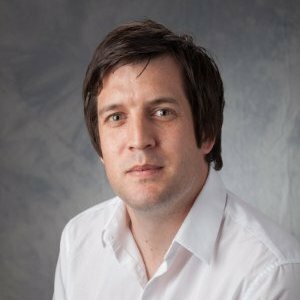 I come from a trade background and through successfully completing university on top of the day job in my late twenties/early thirties and the subsequent career change, I found myself thrust into the professional world and all of the expectations that go with it. I have/had a strong southern accent with a gravely tone. Priscilla helped me to learn to soften my accent when in business circles also techniques to improve the clarity and the tone of my voice. Within the course of working with Priscilla I gained promotion as a Quantity Surveyor and my confidence has grown with my communication skills. Now that the planned sessions are complete I will continue to build upon the good work we have done and also go back for a refresher session to work on the speech for my upcoming wedding. Thank you Priscilla. had a problem with my voice. En-femme in public - that is until I talk. was given a series of exercises to help bring out my "inner girl". Thank you for all the help you gave me. I really enjoyed myself! I had a rusty start but I delivered the speech from my heart and it just flowed. In fact I did so well that I have been offered a job with the Prince's Trust! I just wanted to thank you personally for your support to our BAWP Awards Ceremony and development day on Tuesday 28th June. It was very good of you to come and speak at the event and I thought the session about the impact your voice and tone can have on others was very relevant, and it generated a lot of discussion amongst delegates. It is vital that the delegates heard directly from you what women (and men) can do to best present themselves to a variety of audiences and in differing circumstances. I also thought your humour was fantastic too. I suggested to a colleague that he might benefit from some voice coaching. I did not anticipate the improvement that a few sessions with you have made. Not only is there a greater clarity and effectiveness in his presentation and speech, there has been a discernible improvement in his confidence in a number of other areas. Many people have commented on the improvement even though they were not aware that he was receiving some voice coaching. It was an absolute joy to be taught by Priscilla Morris. From the very beginning a degree of professionalism was held, with each member participating being given booklets outlining the breakdown of the two hour session. The information within it introduced us to the organs of speech and how certain techniques can help an actor project outwards to his/her audience. Not only did she emphasise the importance of speech projection in a performance, but also how one's articulation is paramount in transferring the meaning of specific words, especially in works such as Shakespeare. Play excerpts were handed out amongst the group and we were asked to couple up and recite these pieces in pairs, paying particular attention to our breathing, as we were told the strength in our voices originated from the diaphragm. Tongue twisters then helped us focus on precision and clarity in delivery. She meticulously studied us in this process and was always available to answer a query or correct a fault. All in all, in her teaching, she managed to pass on valuable lessons on the tricks of the trade and every member leaving the session has benefited because of it. The feedback from the Auctioneers team last night over dinner was very favourable and everyone agreed that they all got something out of it . We were happy with the content of the workshop , your expertise , knowledge and experience in the world of effective communication through presenting and public speaking is very evident . As I mentioned our Auctioneers team range from a few prima donnas to a few shy and almost introvert individuals , however what they all have in common is that they do a great job when they perform on the rostrum .They all appreciated the tips which will help them with preparing and coping with the challenges of their jobs on a daily basis . Thank you for a great session yesterday, there was a great energy in the room and everyone seemed to get a lot from the session. The feedback from the course was great and we can see a difference in the confidence with those supervisors. Thank you for carrying out this training. The feedback from the team has been overwhelmingly poisitive. Priscilla has helped me out on several occasions now and in very different circumstances. She has done one-to-one work with myself and other key members of the Blaby team to help us find our voice confidently in challenging circumstances, done some group coaching with staff and councillors and most recently helped my son find his voice, confidence and presence as he worked his way successfully through a long and complex recruitment process. Priscilla is a marvel at what she does and I cant thank her enough. After 7 sessions with Priscilla I have noticed an improvement in my pronunciation of many words. As English is my 2nd language I sometimes struggled to be understood. In my sessions, Priscilla showed me how to reshape some of my vowel sounds to improve my clarity. I found the time spent with Priscilla to be worthwhile and would recommend her to anyone who wants to soften their accent. I attended voice coaching sessions with Priscilla because I felt that I needed to soften my accent, whilst continuing to sound natural. I was sure from the first meeting that I had found a real 'authority' on clear and effective speaking! Priscilla not only helped me with my accent, but also with my ability to express myself confidently. Self improvement is much more effective with the help a brilliant teacher and I would recommend Priscilla to anyone who wants to work on the important skill of commanding their own voice. In my role at work I am often called upon to provide presentations and demonstrations. As someone who speaks quietly, it was recommended that I have voice coaching. My company recommended that I arrange for one to one sessions with Priscilla. Priscilla was able to make me feel at ease very quickly and identified a number of areas of improvement. These included miss-pronounciation of certain sounds and shallow breathing. Over the course of a number of months Priscilla and I practiced various techniques to address these areas of improvement until I was at the stage where I was much clearer during presentations. Priscilla was technically very capable. She understood exactly what the issues were, was able to explain them in a clear and easy to understand manner, and provided excellent exercises to overcome them. I would recommend Priscilla to anyone who requires help with presentation skills, particularly speech. Priscilla was recommended to me by someone who had attended and enjoyed a voice workshop. Being a trainer and presenting several sessions every day, I found I was losing my voice on a regular basis.. I'm happy to say that having just three sessions with Priscilla, i know how to breathe effectively and take the strain away from my voice box amongst other tips and techniques. Great results so thank you Priscilla. times. She is highly passionate and this is infectious and the sessions are also fun and enjoyable! My voice now is far more interesting using inflections to give it far more colour as well as clear and louder. If you want to improve your voice and have more impact in your business life there really is no-one better. Alan just asked me to write and say how much he enjoyed your talk. He said he thinks you’re a lovely engaging speaker and the clients were very interested in what you had to say and were very complimentary about your presentation and your wonderful voice. I thought you were great too! As soon as I met Priscilla when I hosted her at a business networking event as a guest speaker on delivering elevator pitches I knew instantly that she had the expertise I was looking for. 3 months and 5 sessions later, she's absolutely transformed the way I present and speak. Projection, Clarity, pitch, tone, pauses, ways to engage and involve the audience. Finally I can throw away the notes and be confident I'll never need to read from an A4 sheet again. The audience feedback from recent presentations has been brilliant. What an incredible investment -one that I'm sure will pay off for many years to come -Can't recommend Priscilla highly enough, thanks to her guidance, I feel I'm already taking my business to the next level. "Well - I loved it! It felt natural and authentic to be telling the NHS my approach to the obesity epidemic. Thank you, Priscilla Morris, for teaching me everything I needed to be successful when public speaking. When someone tells you, post - presentation, that you have a great speaking voice - you know that you got it right. Bring it on!" We are a professional businesswomen’s network operating across Coventry and Warwickshire. Priscilla ran a fabulous session at our recent event which was engaging, inspiring and thought provoking. She delivered the session in a professional, energetic and fun way and it was extremely well received by our members. The feedback we received after the event was tremendous and we wouldn’t fail to recommend her to others. I love your voice tips! Seeing you work on Cunard had a profound impact on me. I realised what a difference clarity of speech makes. I've seen a big improvement in my show just by putting into practice your tips. I never realised how important my talking was until I saw you and heard it done so perfectly. I now see I can add an extra dimension by having good diction - exciting! Priscilla, you were excellent, we thoroughly enjoyed it and learnt a lot. First rate - and we see a lot of top quality speakers so we do have a benchmark. Just wanted to let you know that after working with you, I was selected for the first seat that I applied for! I really couldn't have done this without your help and just wanted to thank you again for everything that you did. To be able to stand in front of people with such confidence was something 12 months ago I never dreamed I could achieve. Priscilla’s contribution to our event was exactly what we were looking for – she was informative, amusing and also thought-provoking. We had a range of male and female attendees of varying ages and career progression and Priscilla’s presentation was pitched to appeal to everyone. We would happily recommend Priscilla for your event! The schedule for the day meant that this was by necessity a short workshop. Priscilla used the limited time very well giving us plenty - but not too much - information plus practical exercises which gave us the opportunity for experiential learning. The excellent clarity and pacing meant that the workshop would work well for novices yet Priscilla's engaging style and enlightening content made it also useful to me as an experienced public speaker. The exercises were fun but informative and were managed in a way that meant nervous and/or shy participants felt safe to get stuck in. Based on this experience I would strongly recommend Loud & Clear to anyone who wants to improve their public speaking. It was lovely meeting you on Friday, and we really enjoyed your talk. After a long day, your talk enabled us to end the whole event on a positive high, so thanks very much for your contribution. Feedback from your session 'Have you got the X-factor - How to influence and Persuade' was extremely positive with over 80% of the delegates finding the subject matter and the way in which you delivered it thought provoking. The overall summary of your session was that it was a really useful skill development session which definitely added value to attendance. I am grateful that you were able to join our members and partners for the event and add value to the conference agenda in this way. Can I just remind everyone just what a terrific voice coach Priscilla is. She certainly made a difference to my world. I would just like to thank you again for all your help over the years I studied with you. I have recently graduated from the University of Bedfordshire with a 2:1 in Theatre and Professional Practice and am now studying a Masters in Theatre: Writing, Directing and Performance at the University of York. It is over these past few years I have really appreciated the knowledge you shared with me as it has most definitely helped me get as far as I have, and will continue to aid me in my studies. On behalf of all of us at the Peterborough & Cambridge CIPS branch, I would like to thank you again for coming to speak at our event. We have had positive feedback from our attendees who found your talk enjoyable and very interesting. I was asked, with only a couple of hours notice, to be the Guest Speaker at an event for a new group of 30 trainee Campaign Managers, to talk to them for around 15 mins on my experiences campaigning. This was completely unexpected and something that I have never done or been asked to do before, let alone without a month to prepare! By utilising the techniques and pointers that you have given me over the last few months, not only was I able to do it, but it went down a storm (and I actually quite enjoyed it!). It was great to stand there with confidence and talk to the group, knowing that I understood how things work. There were some senior people there from the Party as well, who gave me some great feedback, so it has not done me any harm and whether or not related (although I have a feeling that it is), I have been contacted out of the blue by the Chairman of a prestigious Association with regards to me standing as their Candidate. I just wanted to share this with you and to say thanks for helping to get me to this point and I look forward to working with you again soon. I just wanted to thank you for attending our leadership event, your talk was powerful, thought provoking and certainly gave our leadership team food for thought as well as some simple things they can do to help them use their voices as effective tools. It was the first time we had focussed on anything like this in our event and we’ve received really positive feedback from those that attended with some great examples of where they’ve put they’re new techniques into practice. I would like to say a huge thank you to Priscilla for the excellent work she did recently with my team at Barclays Business. Priscilla never fails to exceed expectation and the group really valued your knowledge and expertise on your subject. We often take our voices for granted, we dont give our voices a second thought, yet the impact our voices have on our every day life both in business and personally is so huge that it makes complete sense that we should learn about it and train our own voices. Priscilla and Stewart made it very easy to do business with, I would not hesitate in recommending Priscilla to all of my colleagues and customers- in fact I already do. Just a line to say a big thank you for your presentation last night at the Business Club, Kettering which was very interesting and informative. I just wanted to say I thoroughly enjoyed it this morning, you are quite brilliant and inspirational and I just wanted to say I thoroughly enjoyed it this morning, you are quite brilliant and inspirational and it was an excellent course. I am so enthusiastic to try and improve my speaking ability and I am so glad that I “found” you, I may never be brilliant at it but certainly want to try and improve as much as I can. "I have really noticed an improvement with the guys' presentation skills and their general confidence speaking in a large group - thank you very much for the help that you have given us; our graduate student also thanked me for nominating him to attend, along with the other delegates he has learnt a lot through you." Blaby District Council has worked with Priscilla Morris from Loud and Clear UK several times now when we needed bespoke support for critical projects. Priscilla’s work with us made a real difference to us delivering difficult outcomes in a positive manner. It was a delight having Priscilla come along to the Bosworth Academy to give a lecture to the Swimming Teaching Staff on ‘voice projection and voice protection’. It was a topic the staff had not covered before and hence our enthusiasm to see if our technique could be improved. Priscilla presented the seminar in a relaxing and informative way and all enjoyed the practical elements that, at times, were very funny. We all came away appreciating the importance of breathing correctly; conscious of using the shape of the mouth and tongue when speaking and hydrating in order to prevent damage to our vocal cords and improve the way instructions are relayed. From the Swimming Teaching Staff at Bosworth Academy, Desford, Leicester. At the end of the session, I asked Priscilla for some advice about improving my own voice, and I have been left with several tongue twisters to practice! Overall, for a simply superb seminar taught by a terrific teacher, look no further than Priscilla! "I've thoroughly enjoyed working with Priscilla through 121 sessions and I have also attended the Voice Matters and Dynamic Speaking courses. Priscilla's approach and developmental feedback have proved to be invaluable. She is able to put individuals and groups at their ease to get the best out of the sessions. I've learned new skills and techniques, which I've been able to apply successfully in practical situations receiving feedback from colleagues about the positive difference they are seeing. My confidence has grown significantly and in the next month I will be able to use what I've learned in entirely new situations as I embark on a different direction in my career. Thanks Priscilla and I look forward to continuing our work. Kathryn Thomas, Strategy and Commercial Manager, The Co-operative Banking Group"
A very informative, well-structured workshop that made my sales staff fully appreciate the fundamental importance and power there is in how we sound. As we are predominately telephone based I am sure the advice and information we received on the day will help secure more sales and build better relationships with our customers. See yourself as others see you, let them hear you as you intended. This is what Priscilla did for me after years of knowing that some of my messages weren’t getting across, so that I now can do it in an interesting, lively and informative way. It’s taken a while; habits do need patience and enthusiasm to change. I can thank Priscilla for doing that for me and doing some quite fascinating things with my voice that others, even the closest of partners, friends and colleagues couldn’t have done. She’s released so much of my potential, thank you. I just want to thank you for showing me how to project my voice better. As you know I often speak in difficult places like pubs and bars, and with your help my voice doesn't now get so strained and I can compete with noise from the London streets on hot evenings. A very interesting and valuable course. Excellent seminar. A must for any sports coach in the UK!!! An entertaining and practical course. Time just flew by. Priscilla was a great tutor. I can't wait to put it into context. Best CPD I have done. I would like to send a BIG THANK YOU for the fun I had on Friday (20th March) at the Erewash Partnership Voice Coaching session you did. I will be honest with you, I didn't expect to gain much from what you had to offer. But I came away having learnt so much. And made new friends along the way. The Good Sitting Company Ltd. I must first of all congratulate you on being a fabulous guest speaker at the Women's Networking Club on Friday. It's a pity so few of us were there to appreciate you, but those who were felt as I did, you were truly superb. I just wanted to say thank you for the two sessions on voice protection and projection. With my job as a librarian going into schools and book talking, the techniques I've learnt will help my voice not to end up so tired at the end of a session. The projection breathing techniques will also help when I need to send my voice that bit further across the room! Thanks again. Nicole. Librarian, Library Services in Education, Leics. I thought you might like to now how my presentation went today. I took your advice and used a few PowerPoint slides to show my research statistics. I practised the presentation so I could focus on my delivery. I focused on breathing and feeling grounded. I drank lots of water from the night before. I was given positive feedback about my presentation. The Chief Officer for my organisation made a point of saying that my presentation was really clear. So thank you......I would like to use your services again. I had the good fortune to be able to attend Priscilla’s ‘Voice Matters’ course at the Marriott Hotel and it was excellent! Would recommend anyone in business to find time to take the day out to attend. Priscilla makes it all so simple to follow and you can really see the common sense in the advice and guidance that she gives on the day. Thank you Priscilla for a day well spent and valuable lessons learnt, it is now just a matter of trying to put it all into practice. If you are involved in any client contact whatsoever I would absolutely recommend that you see Priscilla to improve your presentation and general communication skills. I have a had the opportunity of having some excellent coaching from Priscilla, I found Priscilla's approach very relaxed yet she gets you fully involved with practical and knowledge based interaction and you leave taking instant results with you. I would strongly recommend you see Priscilla even if you think you have good presentation skills as Priscilla will help you turn it up a gear! Priscilla is an instant motivator! She brings you to life with new passion and drive. 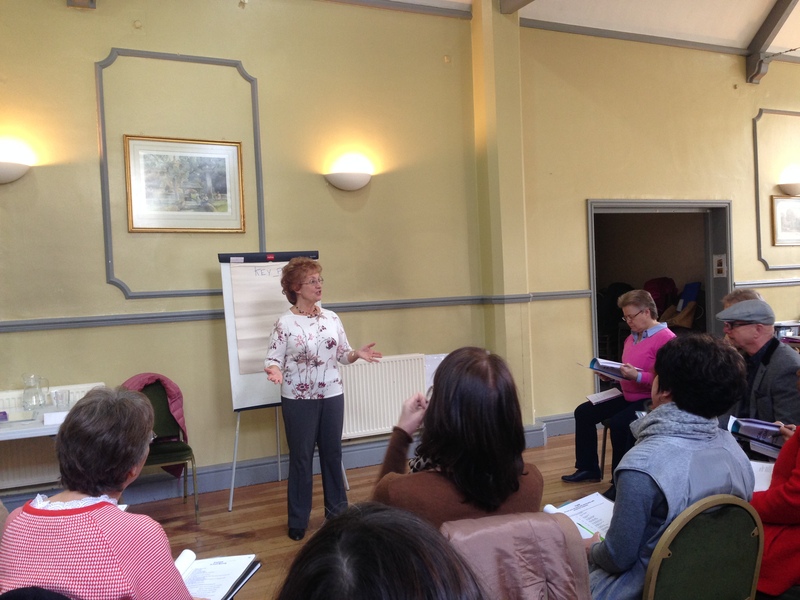 I attended one of her Voice Matters workshops recently and found it very useful on a practical level. We all took away our own individual successes and had considerable fun at the same time. She cuts the mustard and is highly recommended. Having attended one of Priscilla's workshops I can thoroughly recommend them. Never once did my attention wander, her delivery is so entertaining and informative. The whole experience was thoroughly enjoyable. Also Priscilla worked on a one-to-one basis with a colleague of mine who was about to embark on several public speaking engagements for the first time, and she did wonders for his confidence and presentations. This was a very interesting course. Priscilla showed how basic changes to the way I speak can make a huge difference. This course was extremely useful. It answered all my questions on voice and taught me a great deal. Very useful practical learning delivered with passion. Excellent presentation & seminar. I will recommend you to other business colleagues. I think this is a skill that is very important but not stressed in training enough. Today has been an enjoyable training session. It has surprised me how much of a tool the voice actually is. The important purpose of each vocal and breathing exercise was explained clearly. Priscilla is the voice of the stars! Well ok, if you consider me a star. One 90minute session helped immensely, massive gains. Looking forward to next 1-1 session. I'll be sounding like a Radio 4 presenter before you know it. Oh no I won't. What Priscilla recognises is that someone like me needs to retain that rawness, so we've worked on making moderate tweaks here and there to keep the energy and pace in tact, whilst making my speech easier for the audience to follow. The Voice Care sessions led by Priscilla have made a profound and lasting difference to our school. She uses a variety of presentation techniques to make the most hesitant participant feel comfortable and her confidence and thorough knowledge of he subject maintains enthusiasm throughout. We would recommend Priscilla wholeheartedly. She is lively, enthusiastic, and knowledgeable but most of all her sessions are effective. I have attended some coaching sessions on a one to one basis with Priscilla. I had always regarded myself as a naturally quietly spoken person, so I was surprised how I could project my voice, just like others, by technique, exercises, and Priscilla's confidence in my ability. She can also help with voice protection, which can be very helpful if you are making lots of phone calls, or are attending networking events with speed networking or those events where you need to talk to people day long. I would highly recommend Priscilla to anyone. A tremendous insight into methods of improving my vocal communication. Through Priscilla’s patient and thoughtful approach I have been able to transform the way I express myself. What you have done for me is nothing short of phenomenal. You have enabled me to alter my speech, its character retained, but its clarity, and purpose enhanced beyond any of my expectations - I have recently been promoted and your training is, no doubt, an important factor in gaining my position. I am now more self confident and find I sound clearer and think about the words I am saying. Going to Priscilla has improved my job prospects and I shall not hesitate to recommend this training. This morning I gave a motivational talk to 40 women and put all your suggestions into use and it was amazing, I spoke a lot slower, drank plenty of water, and breathed correctly. The result was that I got a fantastic response and everyone said how much they had enjoyed it and how clear I was. Hi Priscilla, thought I would drop you an email to thank you for your help. I was offered the job of energy engineer which I have accepted and hopefully will help me submit for the post of team leader at a later date. I am over the moon. I originally come from Poland. I was getting rather frustrated and went to Priscilla to make my speech more understandable. She has managed to inject confidence into my speech and myself as I discovered new courage to converse with greater ease. I am extremely grateful to Priscilla for her patience and perseverance and that she expressed such infectious enthusiasm in her work. After a very long day at work I wasn’t too sure how long I would be able to concentrate during the Voice Matters session that Priscilla delivered to the Women in Management Network. To my surprise the content was captivating and Priscilla was charismatic in her delivery – truly practicing what she preaches! I could instantly see how the trainers within our company would benefit from the exercises on clarity and range, to ensure that they hold the interest of their audience. It was fascinating to learn how the voice works and more importantly, how to protect it. It made me realise how much we take our voices for granted. A real thought provoking session! I would like to thank you very much for your contribution at the recent Southern Water ‘Learn to Swim’ conference. There was not a single negative comment on any of the 101 forms returned regarding your presentation and there is no doubt that your involvement went a long way to making it a really good day. The course was very useful, informative, and relevant. Of particular use to me were the breathing and projection exercises which have considerably increased the power in my voice without any extra effort. I no longer have to shout to be heard - a revelation! The training was one of the most useful training sessions I have done this year. It has really changed how I think about approaching presentations. I now realise I need to think about how I use my voice to make the content authoritative, lively and entertaining. Very many thanks for the excellent seminar. We found it informative and very enjoyable. It will be very beneficial when coaching. I recommend your seminars for all sports coaching. Tuition has been a pleasant experience owing to the professionalism of Priscilla and her extensive knowledge. She has helped me with pronunciation, timing, breathing, presentation and improved my confidence. Thoroughly enjoyed the whole afternoon. Interesting, participative and fun. All the key ingredients of outstanding and memorable training. If you have any concerns or needs regarding public speaking or getting the best from your voice, then Loud and Clear is for you. Besides her great professional ability and experience, Priscilla will help you improve even if you are an expert speaker. Besides being great fun - I can honestly say that Priscilla is one of those professionals who "really does what it says on the tin". I used Priscilla's services for voice coaching quite a few years ago. If you are nervous about speaking to a meeting of 6, 60 or 600 give Priscilla a call now - it will be the most "profitable" call you will ever make! "Priscilla’s wonderfully supportive and constructive approach to voice coaching has helped me to feel comfortable in all kinds of situations. Although I was already used to giving presentations, her help with diction and breathing techniques have given me the further edge I needed in presenting at all levels. I now have greater confidence and my speaking is more professional, more polished, and more consistent every time." "Priscilla Morris combines professionalism and approachability in such a way that one immediately has confidence in her ability to assist. Her knowledge is extensive and practical and she demonstrates at every level the benefits of following her methods." Loud & Clear gave an excellent voice and pronunciation training programme to a new minister, the Revd. Paskal Clement in autumn 2008. Paskal had originally learnt his English from Belgian missionaries in Lahore, Pakistan. For him to have an effective public ministry in Leicester, attention needed to be given to his English. This was admirably undertaken by Priscilla Morris and after 5 sessions with Loud & Clear, my colleague improved dramatically. Now he is confident and articulate and continues to use the vocal exercises that were suggested to him. Congregations and audiences can hear what he has to say more easily. I recommend Loud & Clear for anyone who needs help with public speaking in English. Team rector, St. Peter's, Oadby, Leics. Thank you for a fantastic 'Tastee' of your skills. everyone enjoyed your seminar. Many thanks for coming to see us last week - the feedback was extremely positive. Although people were a bit unsure beforehand, all really enjoyed the day and felt that they gained useful tools with which to project their voice and speak more clearly. Understanding how the voice works has certainly helped my communication with others. Doing the exercises in the car is fun and I have not had any funny looks yet! The group photo is also attached. I attended one of Priscilla's 'Be Vocal For Success' presentations and was amazed at how much I learned in such a short taster session. If you're serious about how you present yourself to the world then I thoroughly recommend listening to what Priscilla has to say. I’ve recently trained as a Humanist celebrant and I conduct non-religious yet meaningful funerals, baby namings and weddings. Although I’d given public presentations in my previous career, Priscilla’s help has enabled me to improve my public speaking voice for ceremonies which may take place outdoors or in a crowded venue. She has given me useful techniques to project and increase the range of my voice. Thank you very much indeed for your recent visit to talk to us again at Coventry branch. Our members thoroughly enjoy your talks and the instruction you give to them to assist with their breathing problems. The lady you saw separately was particularly pleased. Priscilla is a joy to watch and listen to. Her passion for refining the spoken word is infectious and I would recommend highly both Voice Matters and Dynamic Speaking. I came away with valuable exercises to protect and develop the voice, and valued greatly the feedback from Priscilla and other delegates. Public speaking and communicating in general are an art that can be learned and refined with expert help. Money well spent! I just wanted to say a huge 'thank you' for your presentation yesterday at Da Vinci in Market Harborough. Everyone had very positive feedback and you generated a lot of interest. Just wanted to drop you a line to say thanks for a great presentation last week. After sitting through a number of uninspiring presentations during the event I was starting to think it probably hadn’t been a great use of our training and development budget. Just thought it would be nice for you to have some feedback and just wanted to say thanks for helping me to make this a success. This was a really valid exercise, I feel far more confident following the course in controlling what I say and how I say it. A big thank you, I will try to put this into practice. Members and guests left Leicester Tigers on March 1st after being put through their vocal paces by Priscilla Morris of Loud & Clear voice coaching. Through some fun exercises and interactivity this trained voice coach gave the room an insight into why most of us don't use our speech to its full advantage. It will be interesting to hear those 1 minute presentations from now on! There were some great hands-on exercises which kept the tables buzzing, as well as hints and tips to get the most out of your voice. A lot was crammed into 45 minutes, which was a taster for the regular workshops that Loud & Clear run. Not only is Priscilla a very sought after speaker, she certainly has a lot of positive attitude and spirit. The vocal coaching I received from Loud & Clear was excellent. I am a blind speaker who wanted to improve aspects of my speech. After several consultations and practising voice exercises I started noticing vast improvements. People remarked on how impressive my speeches sounded. I am very pleased because I have an increased understanding of how my voice works and how I can consciously manipulate it. This is one of the most important and worthwhile investments I have made in my development as a speaker. Loud & Clear are sensitive towards all kinds of needs and will accommodate anybody wherever possible. I would not hesitate to recommend their services. I could not ask for more and may even decide to go for more coaching in future. Well worth the 2 hour journey on the train! A big thank you to those of you who attended last weeks Leadership Lunch. The feedback has again been universally positive which is in no small way to the fantastic presentation courtesy of Priscilla Morris and Richard Lloyd Owen. Forty minutes of information, education, interaction and fun focused on the power of oral communication. All in all a great success. Have to say absolutely stunning. That was the first 4Sight I did today with no notes & easily the best one I've ever done. The pausing, the pace, everything about it. Dragon’s Den audition tomorrow so fingers crossed that will go well too. Brilliant, Priscilla, absolutely brilliant. Well done you! Priscilla’s vocal training session has had a positive impact on us all. The explanation of voice as a tool and the variety of practical tasks has heightened our awareness of our communication techniques. We’ve benefited from the training in all aspects of our lives; from working with businesses, schools and young people through to working with our colleagues and even away from work. The entire team's feedback was extremely positive immediately following the event and has continued to be so ever since. We really enjoyed working with Priscilla, she put us at ease and we hope to work with her again some time soon. I just wanted to say a huge thank you for coming to our team meeting. The presentation you gave was excellent and the team clearly listened intently to what you had to say as several referred back to what you had taught us throughout the day. I just want to say a huge thank you for coming over to Esporta and giving a talk to some of my group members. They were inspired by your ideas and what it could mean to them if/when they applied the principles you taught. I too was pleased to be reminded of how important speech is and that within 30 seconds the opinion of you has been formed. Your professionalism, your delivery and your knowledge is a joy to behold. From the feedback I have received I fell sure that some of them will want to see you again. Once again thank you so much, you are an inspiration to us all. 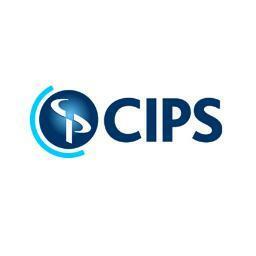 Thank you very much for an excellent presentation at the CIPS Northants Branch event yesterday evening. Everyone who I spoke to enjoyed it and was very interested in your comments about and the examples you gave of the importance of using one's voice correctly in any work-related situation. As you said , many people just never think much about their voices. In the meantime, thank you once again for your time and input yesterday and for helping to ensure that the evening was such a success. If you have never met Priscilla, when you do you will never forget the impact she has on you professionally and personally. She practices what she preaches and is always, positive, refreshing to be around, enthusiastic to say the least, loud and very clear...lol Her blog is always educational and informative and recently she gave tips on delivering on speaking events. This has proved very useful to me personally and professionally. So whether this is for your work, presentations or just a social/personal/special event give Priscilla a call, because practice makes perfect. Many thanks Priscilla. 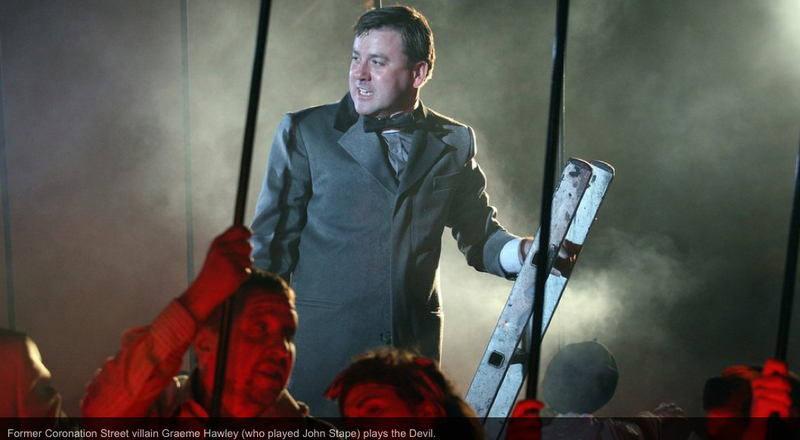 Graeme Hawley remembered as Coronation Street villain John Stape and for a host of TV and theatre parts, Graeme Hawley takes on the role of Satan in the York Mystery Plays. The plays will be staged in a purpose-built auditorium in front of St Mary’s Abbey which is in York Museum Gardens. Absolutely huge, awesome is the only word. We can do everything on such a scale, Noah’s Flood, the Slaughter of the Innocents, the entry into Jerusalem. The stage starts to climb upwards, having various different levels, towards the windows of the abbey. The windows are effectively the gates to heaven and you see heaven beyond. I don't get to spend a lot of time up there as you can imagine. How affecting has reading the Mystery Plays being for you? That realisation that you are involved in a piece that's been told for hundreds of years and significantly here in York, for the people of York. Many people around today have performed in them and their ancestors from hundreds of years ago. You look up at the Minster and the abbey. The bricks and the mortar and the stone of the city blend into the text you're reading. The walls of the city are connected intimately with the words on that page. Where did you where did you train? I did quite a lot of TV as a youngster and when I was 16 I was very keen to carry on being an actor. I heard that Stratord-upon-Avon college offered a brilliant theatre studies course run pretty much like a drama school. In fact, the Mystery Plays were part of the syllabus So I used to travel two hours in the morning to get there from Hinckley and two hours back. The course was run by a guy called Gordon Vallins who actually created A-level theatre studies, setting up the first course. He had been involved with theatre in education at the Belgrade Theatre in Coventry in the 1960s. What about your earlier career? We lived in a village called Higham-on-the-Hill and my parents were involved in the community pantomime. Half the village was involved. I played Willie Willie Winkie. Then I was in Oliver at the Concordia Theatre, Hinckley. Someone suggested I have lessons with Priscilla Morris who had a speech and drama group in Hinckley and I did. I went to an audition for ‘The Lion, the Witch and the Wardrobe’ in Leicester, got it and it all spiralled from. I’ve started playing cricket for a team in Todmorden where I live. Basically we’re just a ragtag group who, for whatever reason, can't get into other teams. We’ll play anybody. I’m the world’s worst batsmen and bowler but the fact that I used to be ‘that killer in Coronation Street’ usually get us extra sandwiches when we play away - so I am popular. I also watch Coventry City when I can, always with my dad. I attended a course with Priscilla with the aim of being clearer with my speech in order to get my point across more effectively. Priscilla breaks down the actions of speech in a simple and understandable way. She utilizes exercises that are fun and breaks down barriers to aid the understanding of the students. In all, it was a thoroughly useful course that I would recommend to anyone who communicates on a professional level. Priscilla practices what she preaches and is therefore an excellent teacher. I meet and enjoy chatting to many people each and every day - so my voice is an important part of my business! Priscilla provided me with expert advice on controlling my voice so that I was no longer "hoarse" at the end of each day. She even helped me to remove certain aspects of my Coventry accent. I no longer say "broight and loight! ", I now say "bright and light! ". I can fully recommend Priscilla's voice coaching so that you remain "Loud and Clear! I've attended several of Priscilla's seminars and found them to be informative and very practical, as well as fun. Priscilla has a vast amount of knowledge on all things about the voice and she puts everyone at ease, and gives very constructive feedback. I have heard Priscilla speak on many occasions and attended her courses. She is inspiring and a great coach. The best testimonial I can give for her is as follows: a person I met regularly at networking that was fun, enthusiastic and interesting to talk to in person, always sounded dry and dull during their presentations. I then heard them after a gap of a few weeks and couldn’t believe I was listening to the same person and the same words. The presentation was lively, engaging and I actually listened to what they were saying instead of tuning out. Turned out they had been having some “one to one” sessions with Priscilla. I have had a variety of presentation and voice training over the years, but having recently started my own Business Coaching Firm I was compelled to use Priscilla following many positive comments from those that have already used her skills. I found her style very accommodating and engaging and she made the whole learning experience an enjoyable and fun one. Of course for me it was about results. I can say that the training given, provided me with some brand new "golden nuggets" that will be valuable to me forever and gave me a greater level of confidence when presenting or indeed just "networking". I can confidently say that I have seen a return on my investment "plus some" as a result of a Priscilla's coaching. 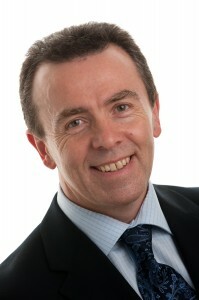 I have really noticed an improvement with the guys presentation skills and their general confidence speaking in a large group - thank you very much for the help that you have given us; Colin also thanked me for nominating him to attend, along with the other delegates he has learnt a lot through you. Thank you so much for your coaching sessions leading up to the Dynamic Public Speaking event. It was of great benefit and helped me tremendously on the big day. Of particular benefit was the ability to practice ‘pauses’ at strategic places which helped to ‘emphasise’ certain parts of the speech and allowed the listener to ‘take-in’ what had just been said. Practicing also meant that I could portray an air of confidence even if on the inside I was severely lacking in it! I will certainly be recommending you to others. Priscilla's approach and developmental feedback have proved to be invaluable. She is able to put individuals and groups at their ease to get the best out of the sessions. I've learned new skills and techniques, which I've been able to apply successfully in practical situations receiving feedback from colleagues about the positive difference they are seeing. My confidence has grown significantly and in the next month I will be able to use what I've learned in entirely new situations as I embark on a different direction in my career. Thanks Priscilla and I look forward to continuing our work." Priscilla’s coaching helped me to see that a set of simple techniques can be used to improve voice control and that real and tangible improvements can be made by anyone. She has both theoretical and practical knowledge of the subject and combines this with her own excellent communication skills to get the message across. My voice has increased in volume and clarity. Thanks Priscilla. My voice has increased in volume, clarity and my vocal range is improving. All of this has made a significant improvement to my performances along with your critique on the routines we have worked on. The course I attended was also useful to reinforce our individual sessions. Thank you again and I will recommend your services to others.